So everybody wants to go their own separate way? Some Igbos want to re-create the nation of Biafra while others want a Niger-Delta country; Northern youths are calling for the expulsion of all Igbos (- and Southerners) from the North and quietly the Yorubas are calling for the creation of an Oduduwa Republic. As Great Britain is finding out from its preliminary BREXIT talks with Europe it’s not easy to break up a union that has been around for a very long time. It’s a lot of wahala! As anybody who has been through a divorce will know, no break-up is easy: who gets to keep the dog? (- or cat?) How will assets be divided and what about access to the kids? For intended break-aways a lot of things need to be considered; creating your own flag and drawing up your geographical borders is just the tip of the iceberg for there’s lots of things to consider. A new country will need to be self-sufficient, generate its own income, make its own laws and be able to defend itself for instance. As we can see from the break-up of the old Soviet Union 25 years ago this can prove to be problematic. Some of the old Soviet bloc countries have all the resources whilst others have nothing – reduced to having cabbage and potato economies. Even the powerful Great Britain will have problems when they finally break with Europe. There will be problems with trade, defence and immigration amongst other things. If the North wants to go it alone can they survive on an income derived from groundnuts and rice? Will yams and cocoa fund an Oduduwa Republic? Can the oil-rich delta region survive on oil alone? And how do you divide up the Federal installations and other assets scattered around the country? People, of all tribes, are scattered around the country and have made these places their homes. So what immigration policy will be put in place? Will there be free movement between the new countries? Will they be allowed to live and work where they are or do they have to return back to their origins? Will I, a Nigerian require a visa to live and work in Biafra? Those old enough will remember the trouble caused by the expulsion of illegal aliens order signed by then President Shagari that resulted in the infamous ‘Ghana must Go’ in 1983 when people who were not of Nigerian descent were forced to leave. Fast forward to the present day; there are more than 500,000 British citizens living and working in Europe and have done so for a very long time with a majority of them in Spain. After Britain voted to leave the European Union they have been left in limbo; they don’t know if they will have to leave everything they’ve spent years building up behind and return back to England. Likewise, European nationals in Britain don’t know if they’ll be sent home. 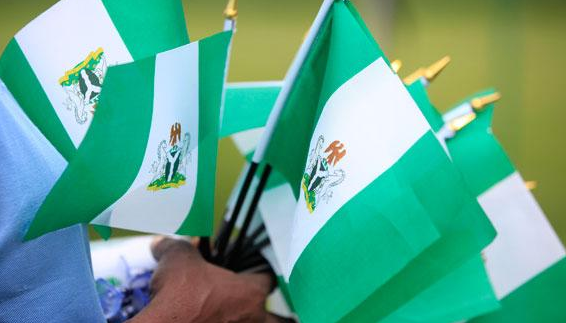 Currently Nigeria is not stable: the economy is a mess, corruption and crime is still rife and there is mass unemployment to mention but a few of the problems. International investors will be very wary of where they invest with so much uncertainty. Again where they invest will be determined by such things as minimum wage, taxes and tariffs imposed by the new nations. More than twenty years after the creation of the new states in Nigeria, some are still struggling to stand on their own two feet! Can any of them even be financially independent? What can they do without continual financial support from the Federal Government? Nothing! So how will a new country survive with no funds from a Federal Government? And what about sports? When it comes to the Commonwealth Games or the Olympics some of the ‘new nations’ won’t have any competitors to send because all their women will be at home cooking, making babies clad head-to-toe in hijabs! Splitting up the country is the equivalent of opening up a Pandora’s Box : you’ll be letting out untold problems that will cause untold misery for many years to come – probably leading to civil wars. So to all those who are thinking of breaking away its time to go back to the drawing board and think of other ways to help your people to remain part of the country. Helping your people, doing the best for your people and getting the best for them will result in everyone helping everyone to resolve the real problems affecting the nation. Unification is a lot better than seceding.